I was home two weeks ago for fall break and stopped in one of my favorite boutiques, RaeLynns, to see their new arrivals! They had so many adorable new arrivals and I wanted to buy just about everything in the store. I was able to style a few looks to share with you guys and I can’t tell you how hard it was not to purchase everything I wore! 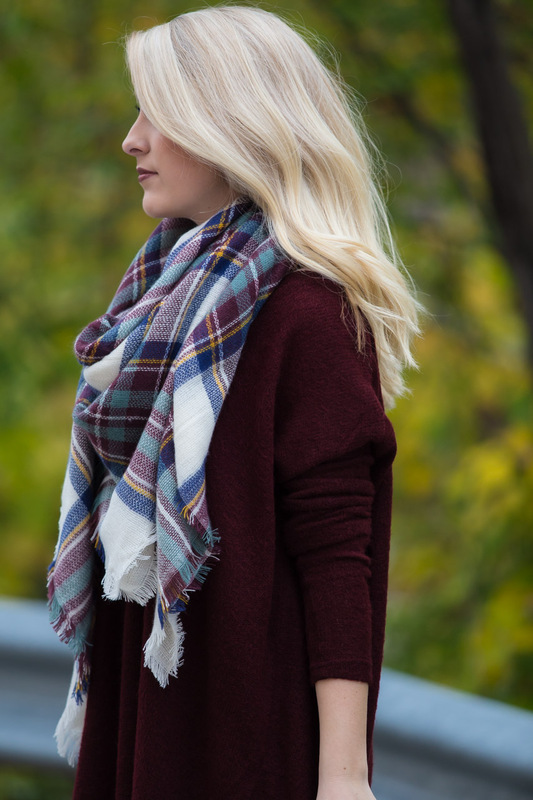 This look was my favorite I styled because oxblood has been dominating my closet this fall and blanket scarves, well they feel like a warm hug all day long. The sweater could be worn as a dress, but since it is starting to get pretty chilly out, I decided to pair it with these perfect faux leather leggings! Let me just tell you, I was so excited when I found these faux leather leggings. I bought a cheap pair last year and they lasted a good 2 months before they ripped and were no longer wearable. It was super upsetting because they were fun and stylish to wear. I wish I would’ve found these leggings this time last year because they are comfortable and made very well. I would live in this sweater if that was an acceptable thing to do and then I would go and buy one in every color because that’s how much I love it! First and foremost, in my opinion, oxblood is the new black. Secondly, when you find a sweater that is comfortable, fits well, and pairs great with your extremely pale skin tone, you better embrace it. I hope you all had a fantastic Tuesday! Love how cute this outfit is! It’s so simple but chic. oh gosh I LOVE this look! the dress and scarf were made for each other! Love this outfit. It is perfect for any fall occasion. totally agree about oxblood being the new neutral. I just bought a pair of leather nikes in this hue and they are amazing! I love that boutique, I love all the pieces you styled from there!! LOVE this look!! Oxblood is one of my favorite colors to wear this time of year! You look fab, and I’m obsessing over that scarf! YES…oxblood has been taking over my closet this fall too!! I LOVE this look and actually have that exact scarf! I might just steal this whole look! Ha! Love this look! That sweater looks so comfy and stylish at the same time. Oxblood is one of my fave colours for fall! In love with this look! such a gorgeous sweater!! it is super comfy too! Yes it is! Love this whole look!! The pants, the sweater and love the colors in the scarf! Love the title. So true! 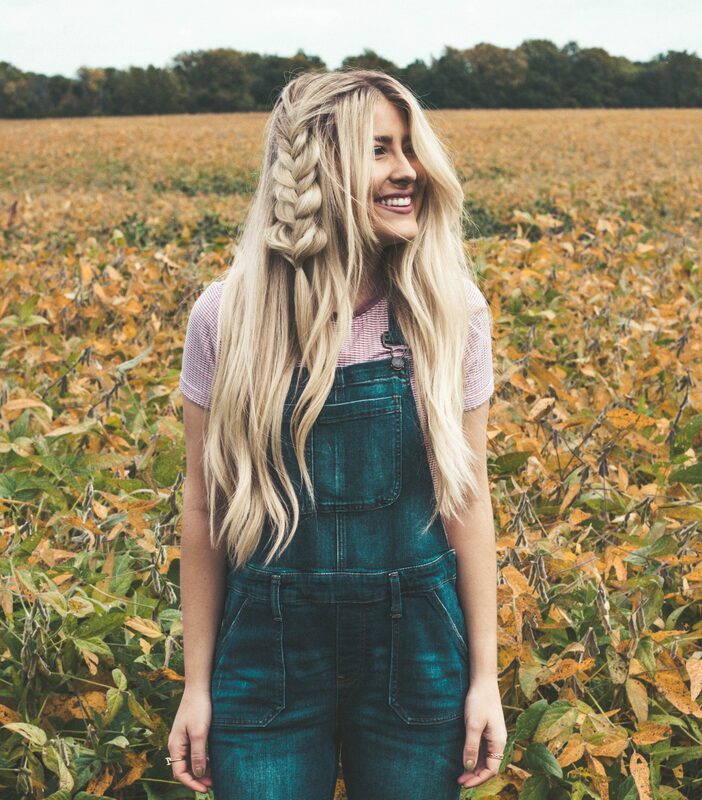 I am so obsessed with this look and I am going to re-create it ASAP! I can’t get enough oxblood this fall! LOVE oxblood and I love this look! Totally something I could see myself living in all fall! So cute! oxblood is one of my favorite fall shades. Your blanket scarf is so cute and that sweater looks so cozy. love this look! thanks! oxblood is definitely a favorite this fall.